As we go through life, and we learn more from our experiences, it is impossible to avoid the lessons that pain will bring. 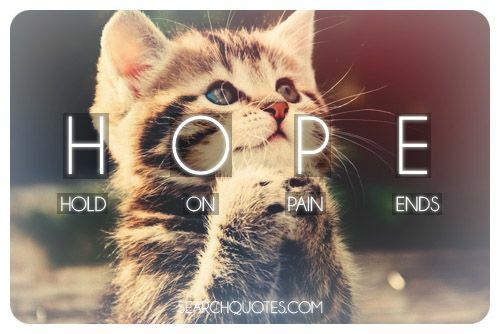 The key to overcoming the pain in your life is to realize that though pain is something that is inevitably a part of life, we have the choice of whether we are going to wallow in it and suffer, or move on from it, and do our best to let it go. People think being alone makes you LONELY, But I don't think thats true. 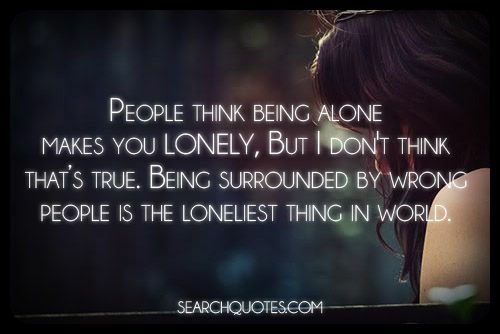 Being surrounded by wrong people is the loneliest thing in the World. Being alone is a state of being that no one wants to be in. It is easy to get caught up feeling sad and detached from the rest of the world, but one must realize that they have to use times of loneliness to build their relationships with God, and also to build upon the foundation that is considered their life. 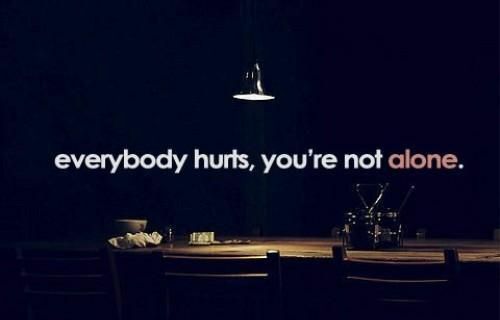 People think being alone makes you lonely, But I don't think thats true. 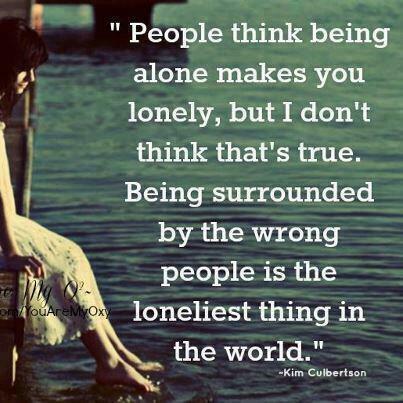 Being surrounded by wrong people is the loneliest thing in world. Instead of wallowing in self-pity and being lonely, make the effort to engage with people in life. Many times our experiences with people in our lives that don't end so well deter us from wanting to build new bonds with new friends. Soured relationships also can greatly affect our other relationships because many times it is these soured relationships that push us away from trying to work on other relationships with other people. 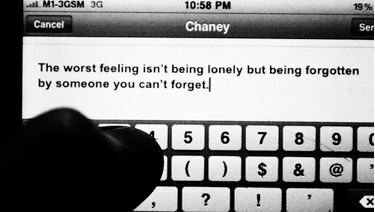 The worst feeling isn't being lonely but being forgotten by someone you can't forget. There are many times in our lives that we will be faced with being wronged by someone. Sometimes we will love someone more than they are able to love us, sometimes we will care about someone way more than they will ever care about us and sometimes we will be forgotten by someone who we will never be able to forget about.